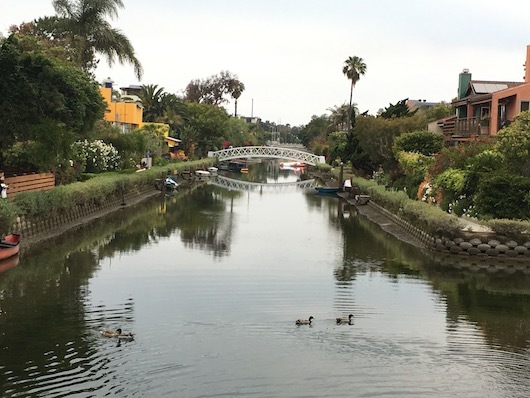 Venice Beach is famous as an L.A. beach town, with great residential and commercial spots, a beach-side boardwalk, and a ‘grand canal’ walk passing modernist homes. We have put together a 6.5 miles “grand tour” of the area, which is easy to modify for longer or shorter. The official “Ocean Front Walk” runs from Navy St. in the north, heading south for 2.5 miles to the marina. Pass numerous attractions, including the Venice Beach Freakshow, famous Muscle Beach, and the Boarwalk. 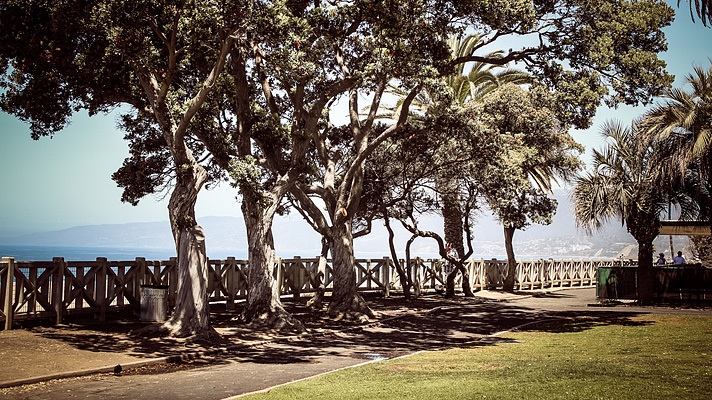 Once at the marina, you can run for 1 mile along the marina path. For the return, we’ve mapped the path along “The Esplanade”, which sits between the marina and the beach, and then along a section of the canal path walkways, with its bridges, flowers, and funky homes. We’ve also mapped a 2.5 mile ‘canal tour’. Add-Ons: Great options here. From Venice Beach, continue north along the Marvin Braude Coastal Trail for 2 miles to Santa Monica, or as much as 5 miles to Will Rogers Beach. The side streets of Venice Beach are also fun, or check out Abbot Kinney Boulevard for shops, restaurants, and bars.